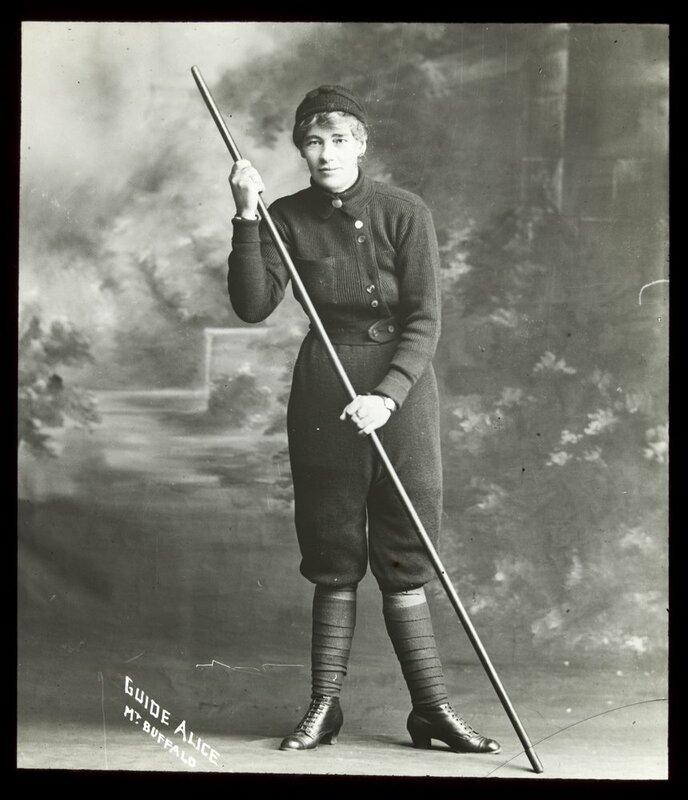 Alice Manfield, or ‘Guide Alice’ as she came to be known, was born in 1878 in Buckland Valley in the Alpine region of Victoria. 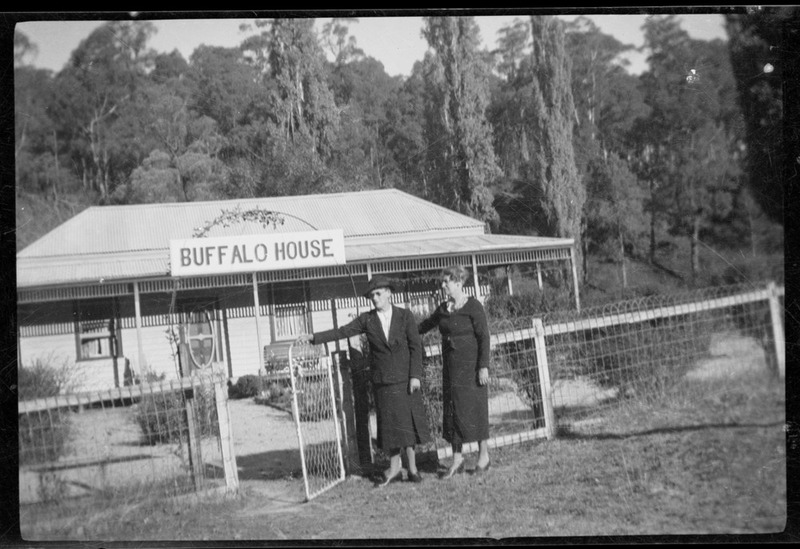 Alice’s parents, James and Jane, lived with their nine children in the Eurobin Falls Valley where they ran a guesthouse called ‘Buffalo house’. The Manfields’ guests were keen to experience all the magic of the mountain: its unique geology and botany, rugged beauty and spectacular views. 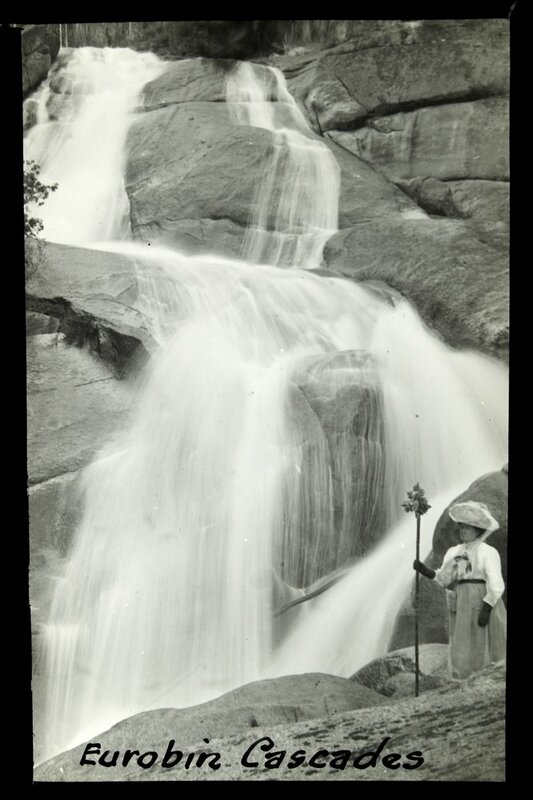 Alice’s father and brothers would take their guests up the mountain on packhorses, where they would camp over several nights and visit local attractions such as waterfalls, caves and lookouts like the Horn. Alice’s childhood was an unconventional one. 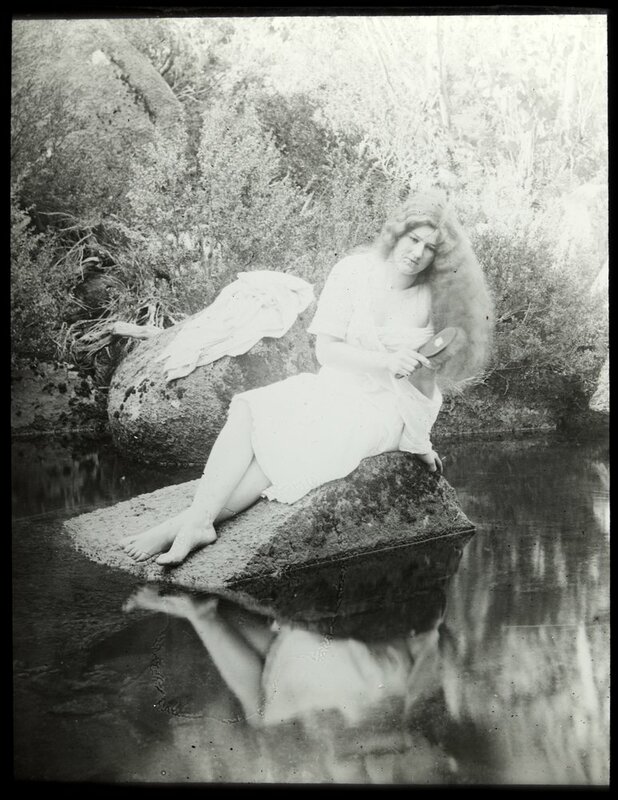 According to Melbourne naturalist Charles Barrett, she led a ‘strange, romantic life.’ Playmates were in short supply, so Alice found companionship in nature instead. Her first trip up Mount Buffalo was a life-changing event. ‘From then on,’ Alice wrote in her diary, ‘mountain climbing and the stillness of the mountain top seemed to take hold of me, and at every opportunity, I would accompany my brothers…’ . In time, she became a talented naturalist. She knew the names of all the mountain’s flora and fauna. She knew where to find the caves and the wildflowers, and she could imitate the calls of the native birds. 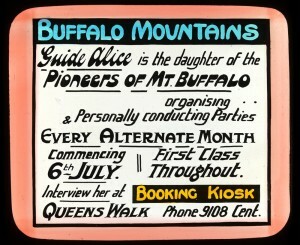 Once she was old enough, Alice began to work as a mountain guide like her father and brothers. Climbing the mountain was hard physical labour, so Alice designed her own ‘trouser suit’ for the task. She took her design to a tailor’s in Melbourne who made it for her. The suit became a trademark of Alice’s persona as ‘Guide Alice’. Alice’s reputation grew, but not everyone was impressed. Women’s groups in particular were vocal with their criticism. They denounced Alice’s costume, claiming that she was ‘spoiling’ herself by adopting masculine attire. It was a different story back at the Mount Buffalo chalet, where Alice’s suit was better received. Guests were enchanted by their bright, plucky hostess, and the chalet’s visitor’s book contained many testimonies to Alice’s kind personality and lively sense of humour. 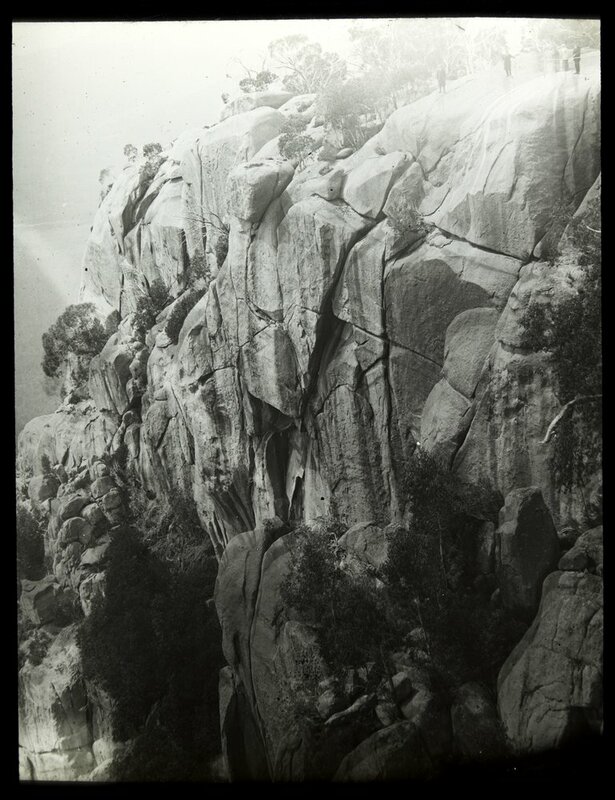 Not only was Alice a naturalist, she was also a photographer and an accomplished writer. 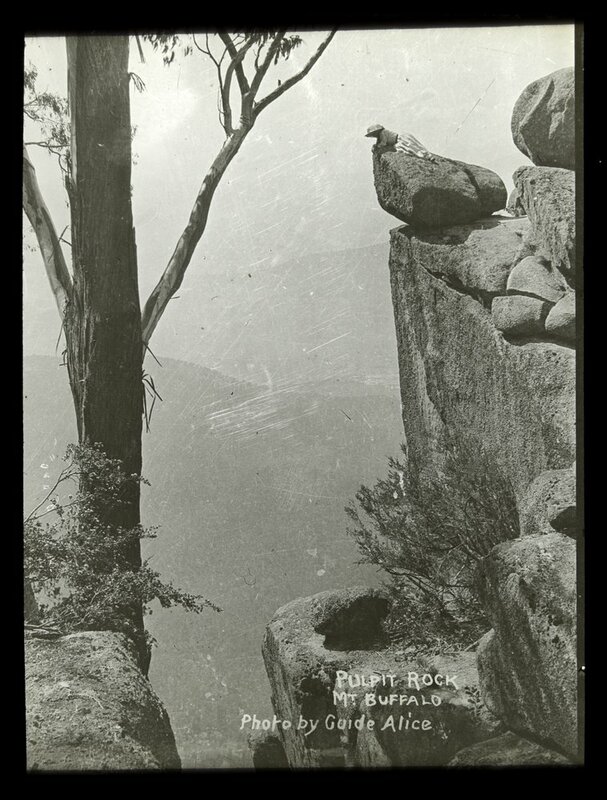 She took many photos of the scenery on Mount Buffalo, and also of her guests. One of Alice’s most well known achievements was the series of photographs she took of a lyrebird family. Many nature photographers had tried to capture the lyrebird on film but it was notoriously shy. Alice came up with an ingenious solution. She sat upon a rock for days at a time in full view of the lyrebirds, imitating the call of the Boo Book Owl: ‘Mo-Poke’. Gradually, the lyrebirds learnt to trust her until eventually, Alice was able to photograph them. To capture the male lyrebird, Alice went to extra lengths, first concealing herself in the hollow of a tree trunk, then attracting him with the Mopoke call. 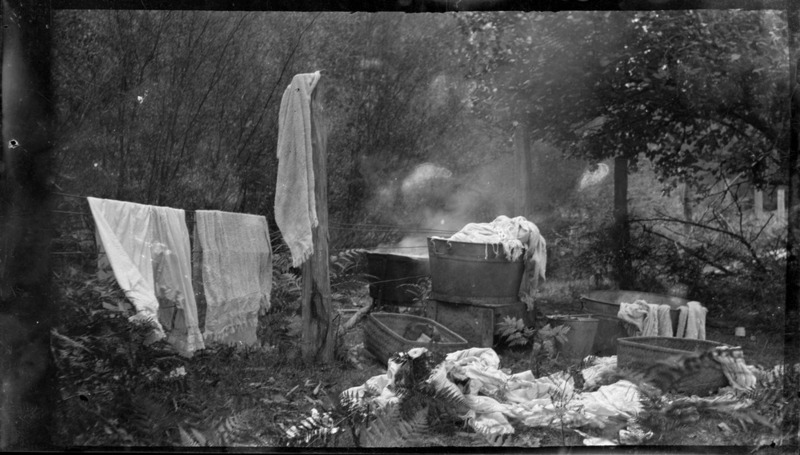 The resulting book of photographs was published to acclaim. Guide Alice died on 14 July 1960. Her grave is in the Bright cemetery, at the foot of the mountains she loved so much. There is a bronze plaque there dedicated to her memory. 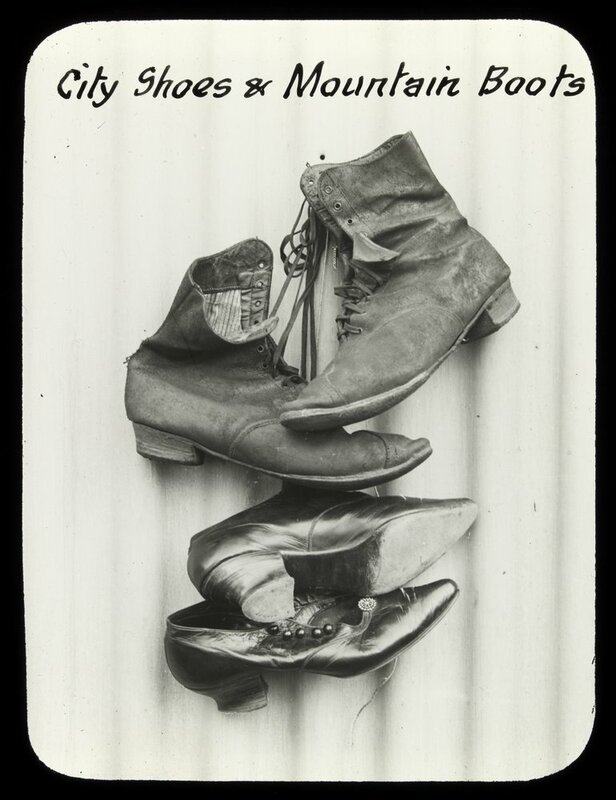 The State Library Victoria has a large collection of photographs by Alice Manfield, all of which have been digitised and are available to view online. What good article. Guide Alice has always been an intriguing figure and it was so interesting to read this piece on her, especially with its great illustrations. It all points to the research depths of the collections held in the State Library of Victoria. It sure does. Thanks Richard. I’m glad you enjoyed it. returned from Harrietville after a very memorable family reunion. Great to see this, I’ve always found the stories and photos of my great grandmother fascinating!